Maybe the fishing is about to turn for the better. 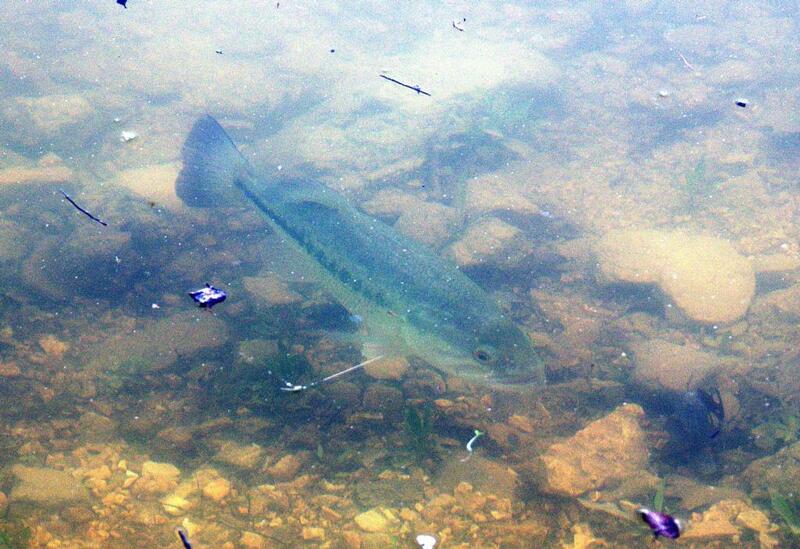 Saw some bass today near the banks in shallow water, pre-spawning period. Trouble was, I was playing golf, not fishing. While walking along the cart path near the edge of a couple of the courses lakes, I spotted a few bass for the first time this spring. Just yesterday nothing, not even a minnow. It’s still early for freshwater fishing and, at this time of year, the fish tend to be leaner than normal. Just seeing fish, is always a good omen. Always something that a sharp fisherman learns, be it the structure, or water condition, or anything else. They are just now starting to move from the deepest water, to shallower for spawning. I watched a Blue Heron the other day walking through an inlet, he couldn’t find anything either. Its day to day instead of weeks now with the warmer weather and water temps. Do you fish. Not to change the subject, but I went to a Neil Diamond Concert Wednesday night, how far did he grow up from you? Great concert! I used to walk past Diamond’s, and Streisand’s, homes when I was a kid. LOL…… I went deep sea fishing last year at Clearwater, we caught a lot of black bass, a restaurant nearby fixed them 3 different ways……fried etc. The top of our table was filled with fish. We could have fed half the patrons in the place.